One of the best ways to learn about the content marketing industry is to study what others are doing. Over the past three years, it’s been our pleasure to observe the field and, more specifically, identify those who are making us think about successful content marketing in new ways. While we’re always happy to celebrate those who are truly advancing the practice of content marketing, it’s even more important to understand what they are doing well — so we can apply these lessons to our own programs. Lowe’s recruited top designers and mom bloggers to take over its Instagram account for a few days at a time. Popular design personalities, like Grace Bonney from DesignSponge, post inspirational images and, in doing so, introduce their fan base to Lowe’s. It’s a brilliant idea from the amazingly talented social media team at the company, led by Brad Walters, Director of Social Media and Emerging Platforms. 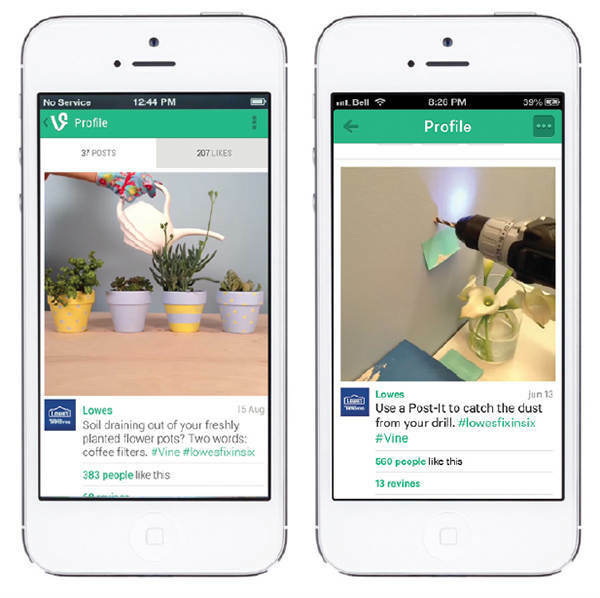 The #lowesfixinsix series on Vine (6-second videos of easy DIY tips) received much-deserved attention this year for “getting” how to do content marketing on the platform at a time when many of us were still scratching our heads. 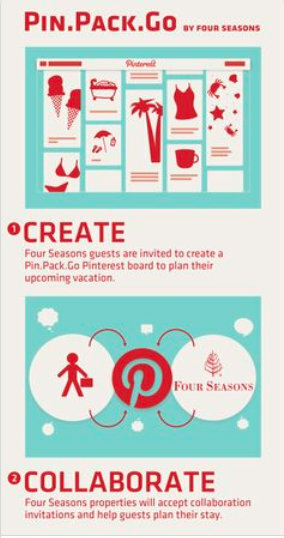 In addition, Four Seasons’ Pin.Pack.Go program on Pinterest (an industry first) invited guests to co-curate a custom travel itinerary via a Pinterest board with the Four Seasons hotel or resort of their choice. 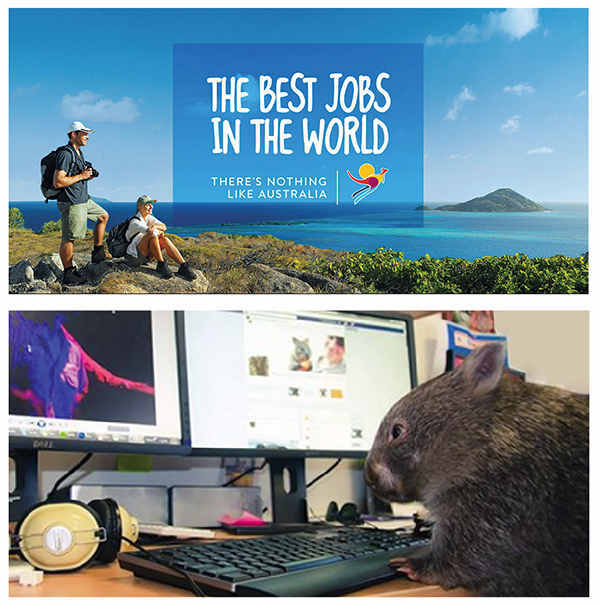 Rhoads believes that by teasing out storylines — and, in particular, archetypal narratives such as the hero’s journey –- companies like Intel can create much more moving and memorable content for their audiences. Rhoads certainly wins our vote for his passion in pursuing innovation at the intersection of media, brand, and technology. For instance, Rhoads manages the partnership with VICE Media that produced the award-winning The Creators Project. 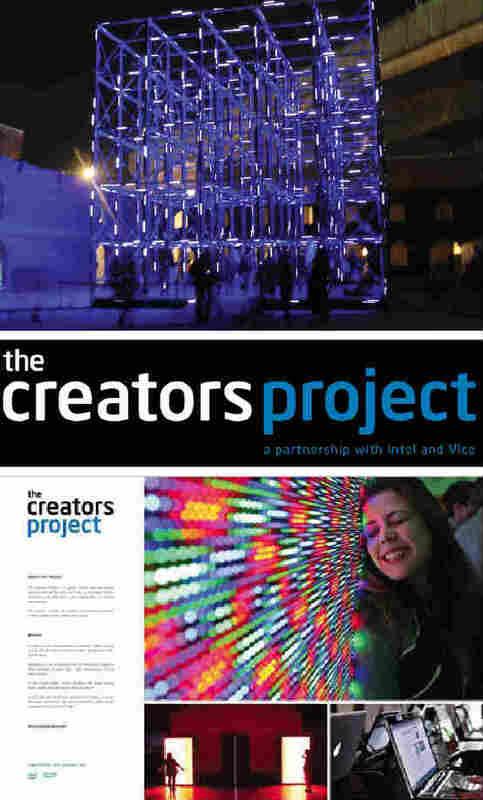 A long-time favorite of ours at CMI, Creators Project captures the most beautiful examples of art and innovation made possible through technology. Who says B2B has to be boring? Caterpillar surprised many this year with its bold Built for It campaign. The first video featured the company’s massive earth-moving equipment, positioning 600-pound blocks into a giant game of Jenga — and earning over 2 million views. Karen Girty, Senior Director of Marketing and Media, New York City Ballet, led the launch of the troupe’s Art Series, an ambitious program to introduce new viewers to the ballet by inviting collaborations with visual artists. In January, the nonprofit invited JR, a French street artist known across the globe for his massive public photo installations, to install a photo mural that spanned an entire floor of the Koch Theater’s Grand Center Hall. Girty said 70 percent of attendees at special Art Series performances described themselves as new to City Ballet, and 7 percent of those visited the ballet again. And JR’s floor mural, which featured life-sized photos of dancers, spawned an always-on stream of social media coverage as attendees snapped pictures of themselves on the floor next to the dancers. 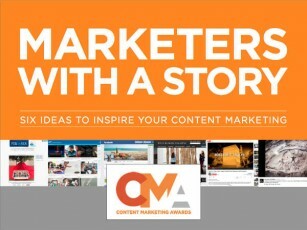 ** Update: We are pleased to announce that Bryan Rhoads was named Content Marketer of the Year. You can see his (very clever) acceptance video or read his post, 7 Ancient Archetypes Your Brand Storytelling Should Use.